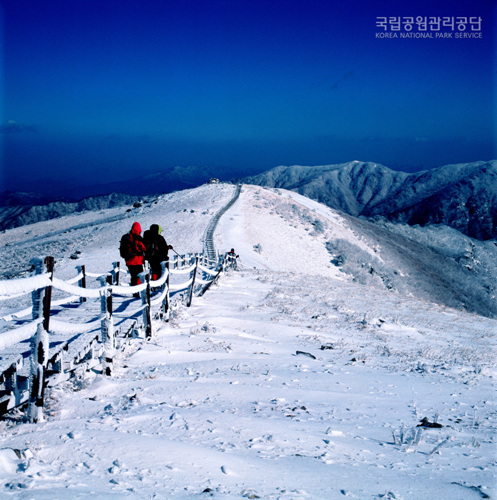 Sobaeksan Mountain (소백산) is renowned for its natural splendor and mystery, standing tall in the middle of the Korean peninsula, and offering several magnificent peaks, such as Hyeongjebong, Sinseonbong, Gukmangbong, Birobong, and Yeonhwabong. Its captivating seasonal beauty (royal azalea in spring, wildflowers in summer, autumn foliage in fall, and snowscape in winter) attracts visitors year round. The open grass field on Birobong Peak (비로봉; 1,439 m in elevation) is reminiscent of a scene from the Swiss Alps. The Sobaeksan Optical Astronomy Observatory (SOAO) located upon Yeonhwabong Peak (1,349 m in elevation) is the historic cradle of Korean astronomy. 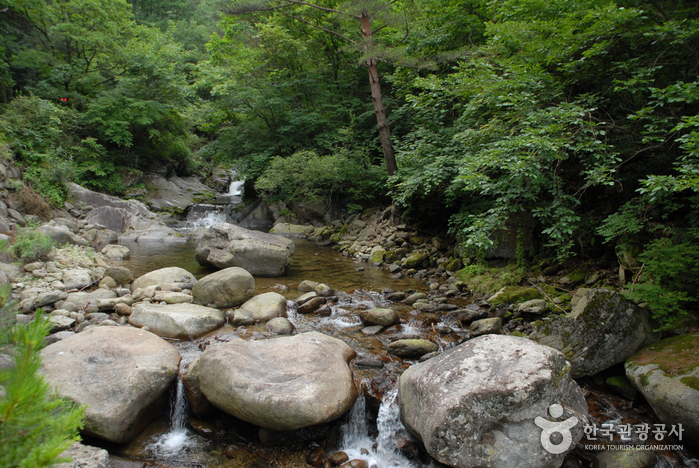 The Sobaeksan Royal Azalea Festival is held near Danyang-gun in early June every year.